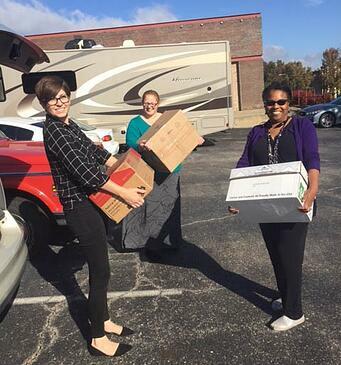 As we shared in our summer road trip to the Overland Park office, the amount of help this group gives to charities is truly inspiring. At the helm of their good deeds is their charity committee, which is structured with a revolving leadership led by two co-chairs. At the beginning of every year they have an open enrollment for anyone who wants to participate. This group is then responsible for creating and organizing events every month that benefit local charities. Let's give a tip of our hats to this group who is clearly engaged in their community. 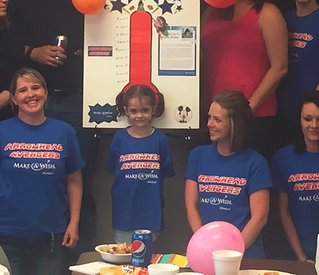 The Kansas team focused on raising $5,000 for the Make-A-Wish Foundation in February for five-year-old Natalie. Natalie was diagnosed at birth with Tracheal Esophageal Fistula and Esophageal Atresia type C (EA/TEF, for short) and her wish was to go to Disney World with her family and see all the princesses. The OP team quickly adapted a super hero theme and named themselves the Arrowhead Avengers. Within their first month of fund raising they brought in $442 from a Royals baseball game home opener raffle and $270 with a fiercely competitive chili cook-off. The Arrowhead Avengers had a lot of success in raising funds for Make-A-Wish, which brought in more than $5,000 to send five-year-old Natalie to Disney World. Wearing their matching Avenger T-shirts, the OP office banded together and raised money with events like selling their Arrowhead Avengers T-shirts, tailgate lunches, the Make-A-Wish®Walk for Wishes 5k and of course, change wars. The change wars alone raised over $400. In June, little Natalie visited the OP office to thank them for their efforts. Basking in the glow of knowing they just made a little girl's dream come true, the Overland Park set to work again and put together a back-to-school campaign for NETS Developmental League. Led by team member CyTrika Barnes, Automotive Aftermarket customer service rep and NETS board member. They collected backpacks filled with school supplies for low income families in the Kansas City metro area and ended up donating 119 backpacks to the organization. Great work, team! Arrowhead Aftermarket underwriters Brittany Rogers, Laura Nickles, Ben Coyle, Ben Potter, Kelly Smasal, Lindsay Durand and Kathy Brooks along with Arrowhead Forestry Program Manager Maddy Feld volunteered a recent Friday afternoon at the Gillis Center in Kansas City, Missouri. The Gillis Center began in 1870 as a support service to families following the Civil War and now helps troubled children and their families to become healthy and self-sufficient. 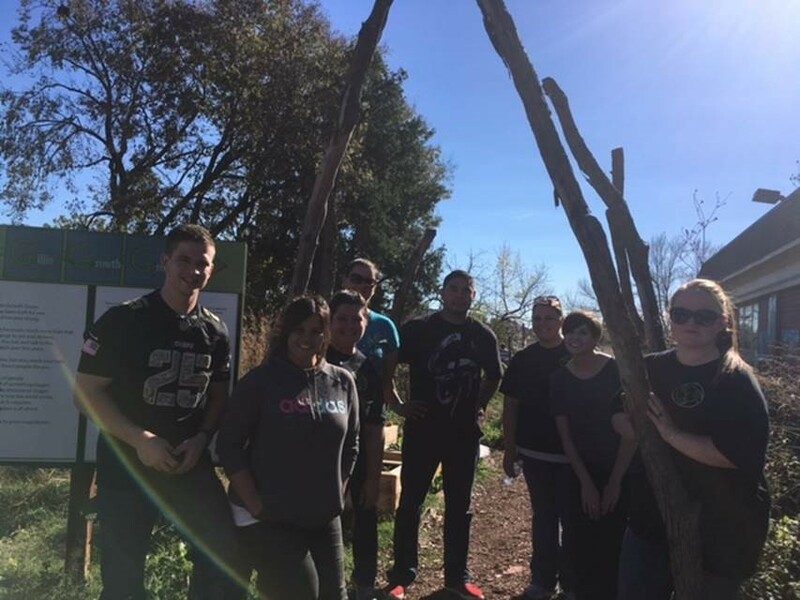 The OP team worked side-by-side with Gillis youth in a community garden that provides produce to families at the center, picking the last produce of the season and preparing the garden for winter. Gillis youth assigned as leaders instructed the Arrowhead team on what needed to be completed. Overland Park community garden volunteers, L-R: Ben Coyle, Laura Nickles, Kathy Brooks, Kelly Smasal, Ben Potter, Lindsay Durand, Brittany Rogers and Maddy Feld. 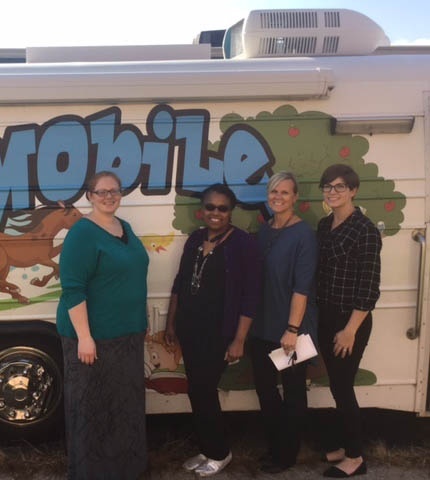 Also last month, our OP office held a book drive for the non-profit organization “Hands to Hearts,” which hands out more than 30,000 free books to Kansas City metro children every year. Participants had to bring in five books to earn a jeans day. “Our goal was to collect 500 books, we collected 850!” said Datha Santomieri, director of strategic projects for Automotive Aftermarket. You guys hit it outta the park this year with your charity giving!